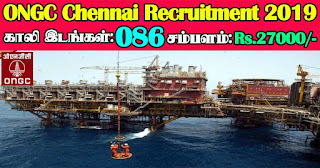 ONGC Recruitment 2019 - ONGC invites Online applications for recruitment of 86 Assistant Technician, Assistant Grade-III, Junior Technical Assistant, Junior Fire Supervisor, Junior Assistant, Junior Fireman Posts. 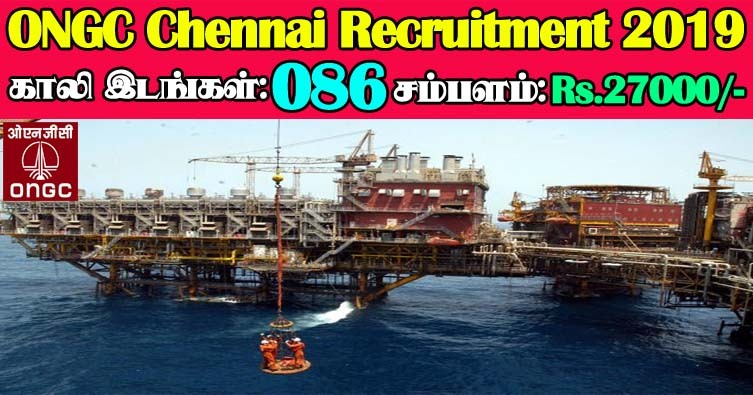 The applicants are requested to apply online only through Official Website www.ongcindia.com on or before 20.02.2019. Interested candidates are requested to peruse the advertisement regarding the process of Examinations and Interview, Eligibility Criteria, Application Fee, How to Apply, Pattern of Examination, Syllabus, Question Paper, Admit Date, Exam Date, Result Date etc,. Refer thoroughly before applying. Matric with Science and Trade certificate in Fitting. Matric with Science and Trade Certificate in Welding. i. Persons with Disabilities (PwD): Upper age limit for persons with disabilities shall be relaxable by ten years (15 years for SCs and 13 years for OBCs). Relaxation in age limit shall be applicable irrespective of the fact whether the post is reserved or not, provided the post is identified and suitable for Persons with Disabilities. ii. Ex-Servicemen: To the extent of length of service in Armed Forces Plus 3 years as per Govt. Rules. For Disabled Defence Service personnel, extent of Age Concession is up to 45 years for Gen/OBC & 50 years for SC. iii. ONGC Departmental candidates: To the extent of services rendered by them in ONGC. Tenure based employees (TBFO), contractual paramedics and contingent employees will be treated as departmental candidates besides regular employees. iv. ONGC Ex-Apprentices: Age relaxation to ONGC Ex-Apprentices shall be granted to the extent of their training undergone in ONGC. Apprentices, other than those from ONGC shall not be eligible for age relaxation.